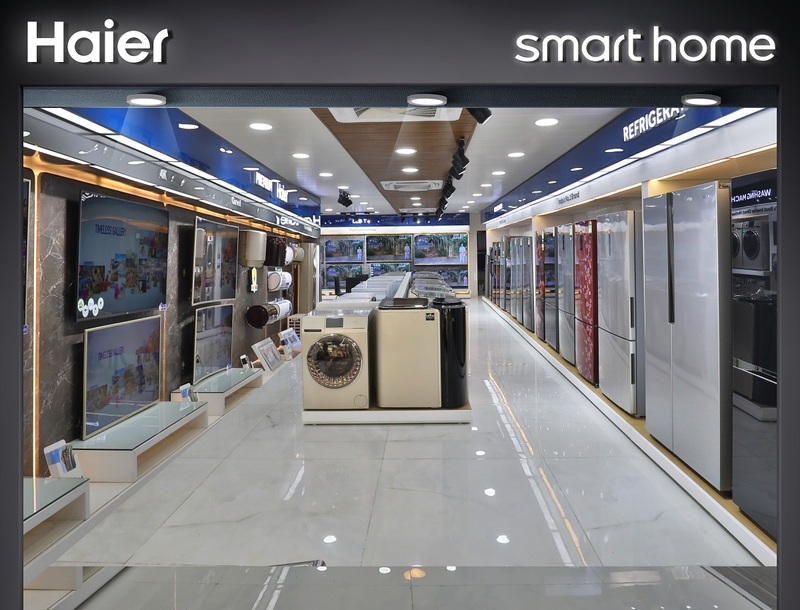 Haier, the global leader in Home Appliances & Consumer Electronics and World’s Number 1 brand in Major Appliances for 9 Consecutive Years* has opened a first of its kind experience store in Lajpat Nagar, New Delhi. Spread across 3,000 sq. ft. area, this experience store showcases some of the most intuitive and advanced products from Haier to help consumers make their lifestyles future-ready. In the internet era, households worldwide are embracing smart technologies like IoT and Haier continues to be at the center of this technological revolution with its U+ smart living operating system. The store gives a sneak peek into a connected world where home appliances are synced and interconnected with each other. 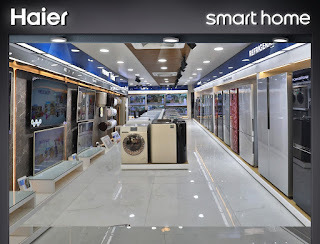 Haier has conceptualized this store focusing on the four most important physical spaces in the home – Smart Living Room, Smart Kitchen, Smart Bathroom And Smart Bedroom. The Smart Kitchen will provide users with a one-stop kitchen solution for purchasing, storage, cooking and cleaning. For instance, Haier’s smart refrigerator can memorize food materials and recommend a healthy menu to consumers according to their health status. Likewise, in The Smart Bathroom, Haier’s washing machine can detect the lack of laundry detergent and prompt the requirement immediately by connecting to the nearest store to provide an automated purchase service of the detergent. ‘Smart Living Rooms And Bed Rooms’ concept uses U+ smart living operating system along with the advanced AI technology to interconnect the AC, LED, curtains and other network appliances with a smart TV. All that one needs to do is press a button on the remote control. The smart TV is designed to provide multiple videos and audio programs attached to the cell phone, while the smart air conditioner adjusts the temperature according to the environment. The TV remote control facilitates all the actions in a room from sliding out the curtains to switching on the LED lights to entering a new world of smart living. To offer the best in-store experience to customers, the store is spread across two floors where one is dedicated to giving customers an access to Haier’s wide range of home appliances across all categories (Refrigerators, Washing Machines, Air-Conditioners, TV’s and Water Heaters), the other houses Haier’s premium range of products along with an experiential setup of the smart home. Haier India reaches out to its widening customer base through an extensive retail network of large format stores, multi-brand outlets and a robust dealer network across the country. Haier also has a large service footprint in the country with over 450 service centres, including Haier Exclusive Service Centers (ESCs), Authorized Service Centers (ASCs) and Direct Service Centers (DSCs) in more than 19,000 pin codes across India. With services like door to door Mobile Service Vans, 24*7 toll-free helpline and Dr. FIDO Live Chat feature available on the Haier India website, Haier ensures a quick and efficient service solution for its customers.